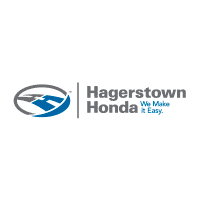 Hagerstown Honda began operation in November 1990 and moved from our temporary location on Frederick Street to the I-70 Auto Mall in July of 1991. Many of our original 12 associates are still members of the Hagerstown Honda team as are many that joined our growing operation in the early 1990s. We are very proud that so many of our associates in all departments remain part of our organization. In 1997, we added KIA vehicles to our product offerings and completed our new Honda building in 2000, which is twice the size of the new building completed in 1991. We have been very fortunate that many of our customers continue to buy their new and used vehicles from us year after year. We have grown to become one of the top Honda dealers nationwide and with over 3,000 customer deliveries each year, Hagerstown Honda is looking forward to the opportunity of helping you with your next new or pre-owned vehicle. As we continue to grow and expand on our 15 acre complex, our goal is always to serve our customers’ better. The internet has allowed our new customers to learn more about our service, our inventory and our commitment to customer satisfaction before they drive on the lot. The internet has also allowed our existing customers to make service appointments, purchase parts or just learn more about the exciting new products that come from Honda every year. We hope you will keep us on your shopping list when your transportation needs change and will always feel that you have a home at Hagerstown Honda. If you don’t see what you are looking for, fill out our form, and we will let you know when vehicles arrive that match your search! Or if you would rather discuss your options with our friendly sales staff, get directions. We look forward to serving you!